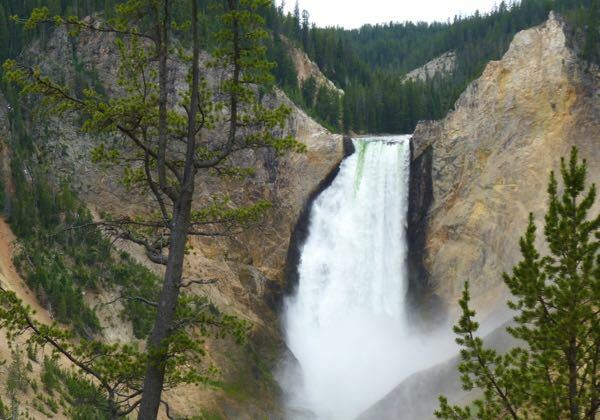 The waterfalls of Yellowstone National Park were of more interest to me than the thermal features. Each was of a different size and character so they were impressive in their own way. 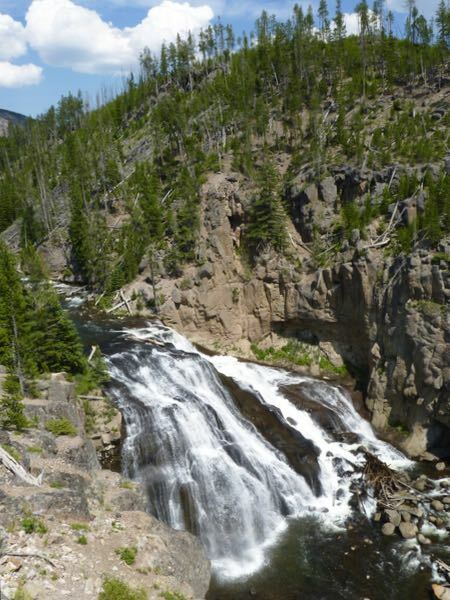 Gibbon Falls at 84ft was the shortest waterfall, but still picturesque with the rock cliffs on both sides. It’s width and raked descent made it appear larger and impressive. 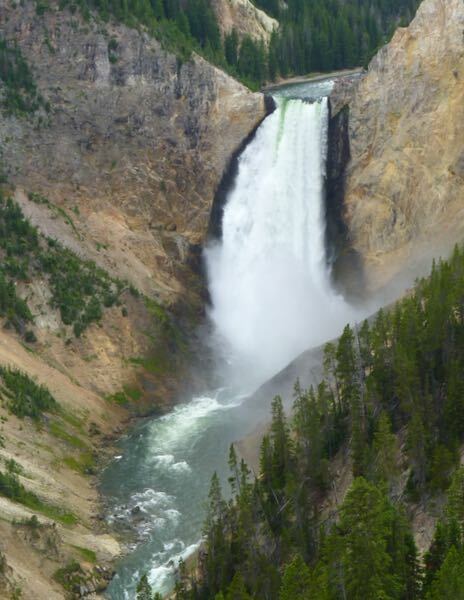 The thunderous display of Lower Falls as it dropped 308ft was spectacular. The massive crash of water at the base misted viewers despite the great distance of the overlook. This fall is a favorite subject for artists and photographers alike. 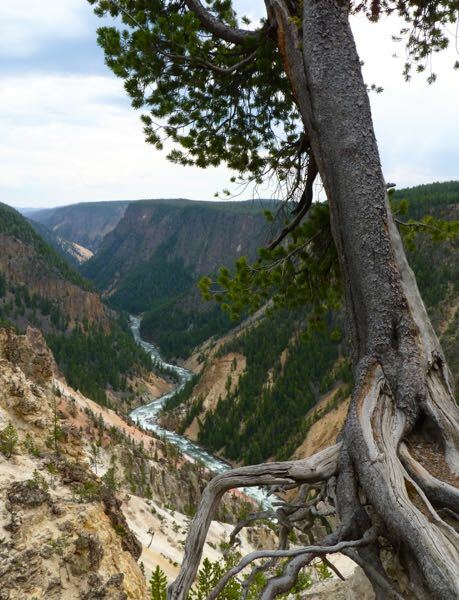 The cliffs of the Grand Canyon of the Yellowstone could be seen from Inspiration Point and Grand View. 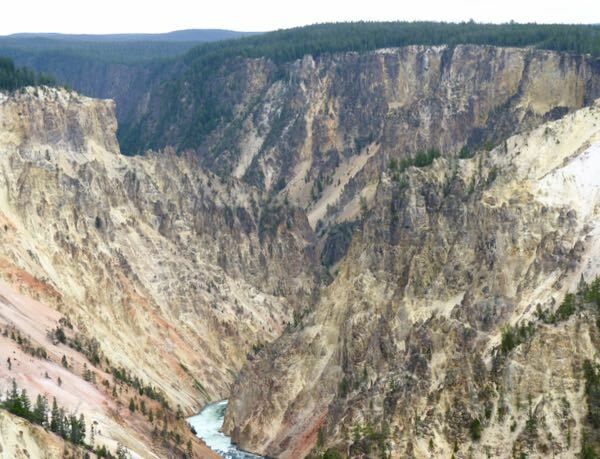 These yellow cliffs provided the name for the canyon and park. 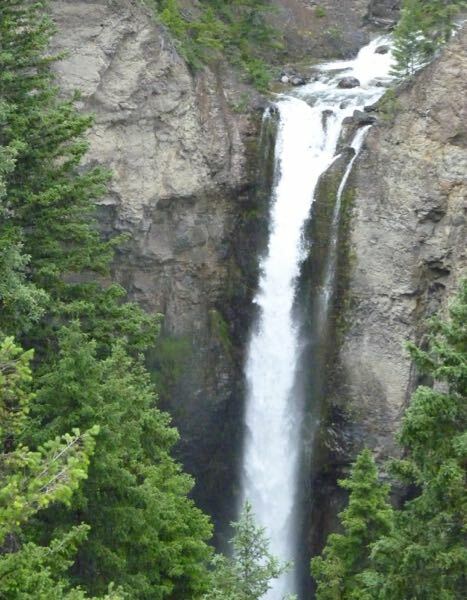 It seemed that Tower Falls came from out of the side of the cliff. 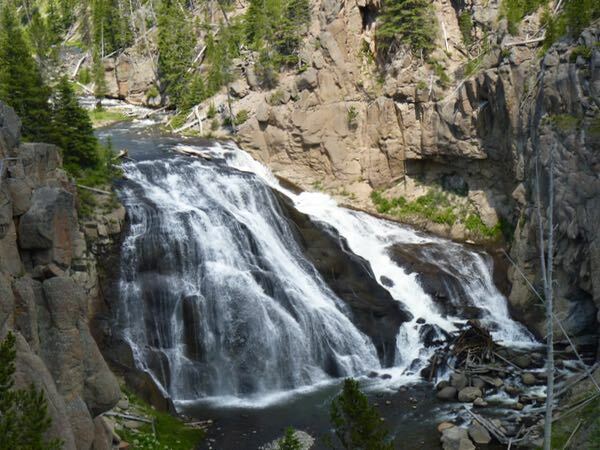 But really, the creek flows through a narrow gap, plunges 132ft, and then flows to the Yellowstone River. I’m always dazzled by waterfalls, and these three did not disappoint. 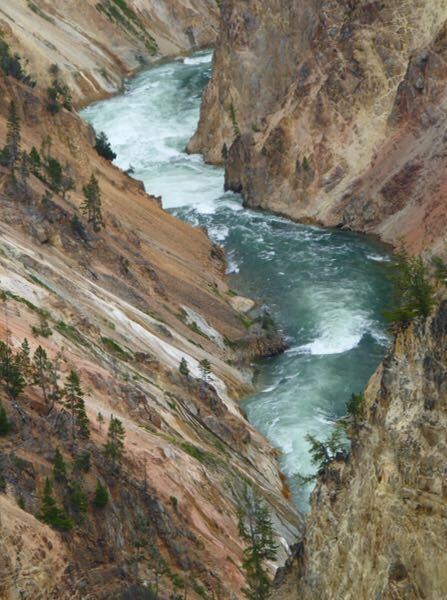 Still, there was more to see at Yellowstone. I went there on a tent camping/ painting trip. Loved it so much I got a job working at “fishing Bridge General Store.” was able to stay 6 weeks & get paid. Employees stay above the store. Room & board deducted from pay but worth it. Bonus was health insurance! Also a heated room was better than the snow on my tent in August. The falls truly are amazing. No matter how many times I went, always exciting. Your photos are spectacular! Can’t thank you enough for reminding me of all that beauty! So great that you had that opportunity. Yes, the waterfalls were wonderful to behold. Your good vibes about the photos is appreciated. Simply beautiful. Brings back memories. Wife and I spent 5 days camping at the park, in the back of a conversion van on foam mattresses. No amenities there! LOL Looking forward to doing it again soon, only in our Lazy Daze! Glad I was able to remind you of those good times. It’s a rugged and beautiful place.